Although a growing awareness of the social nature of assessment has led to an increased interest in washback in language testing, previous research has focused on the effects of existing exams or the introduction of new exams. However, if the introduction or existence of an exam has potential power to produce changes in teaching and learning, withdrawing that exam may also have an impact that deserves our attention. In an attempt to address this gap in washback literature, the present study examined the effects of the decision made by the South Korean Ministry of Education to discontinue the National English Ability Test (NEAT), which had been developed with the intention of promoting curricular change in schools by introducing productive skills assessment in High-Stakes national testing. This mixed-methods study reports on questionnaire data completed by 72 English teachers from middle schools and high schools in Seoul, and six follow-up interviews to examine how the Ministry’s decision affected the instructional practice and perceptions of teachers. Results showed that the abrupt withdrawal of NEAT from being implemented may have had unintended washback effects on the participants’ perceptions, if not on their teaching practices. 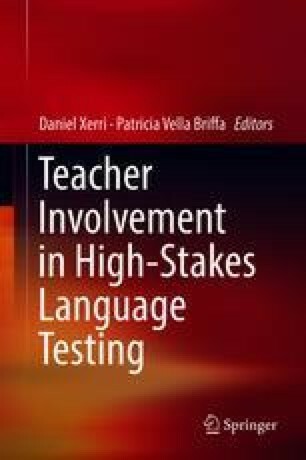 These findings suggest that discontinuing an assessment reform involves more than reverting to the previous state, highlighting the need for greater teacher involvement in the design and implementation of High-Stakes assessment policies in order to enhance the potential success of utilizing tests as levers for change. This study was conducted in partial fulfillment of the first author’s Master’s degree in TESOL/Applied Linguistics at the University of Bristol in the United Kingdom.